One of the most common reasons Shores Animal Hospital sees pets in our hospital is for allergy-induced skin conditions. 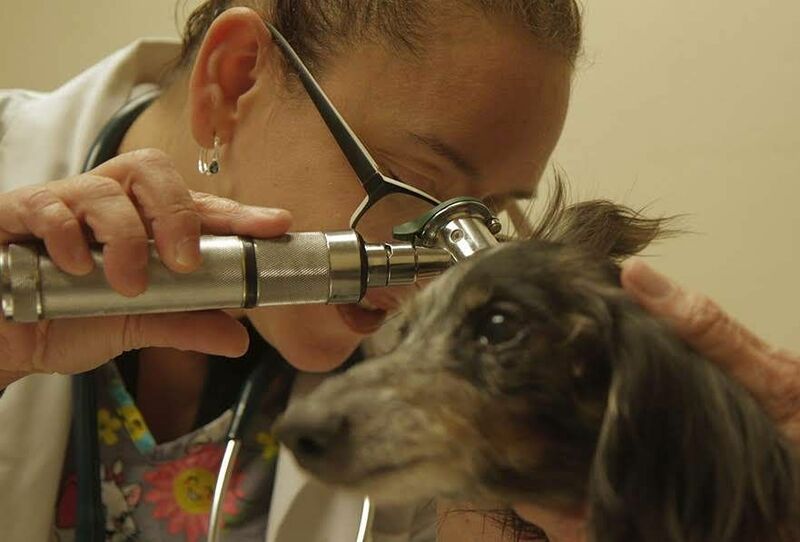 Allergens are pervasive in Gainesville, Florida and affect pets just as they do humans. Do you think your pet is having an allergic reaction? Itching, scratching and hot spots are all good indications of allergies. Pet allergies are both common and treatable, however if they are left untreated, they can become a serious health condition for your pet. Flea allergy -The bite of a flea on your dog or cat causes an intense allergic reaction, resulting in itchy skin. Food allergy - An aspect of your pet’s diet triggers reactions such as itchy skin, diarrhea or other gastrointestinal problems. Skin allergy or Atopic Dermatitis - An allergen or foreign substance is inhaled or makes contact with the skin, causing extremely itchy skin. This can lead to skin infections or skin injuries from excessive scratching. If you think your pet is suffering from allergy-induced skin irritations, please do not hesitate to contact Shores Animal Hospital in Gainesville, Florida to schedule a consultation with our vets.